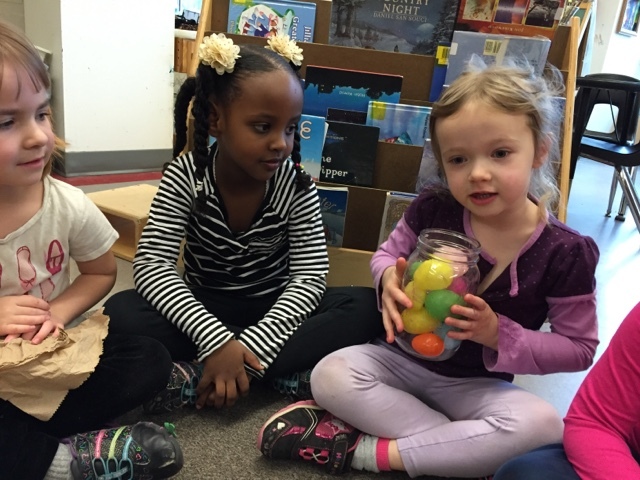 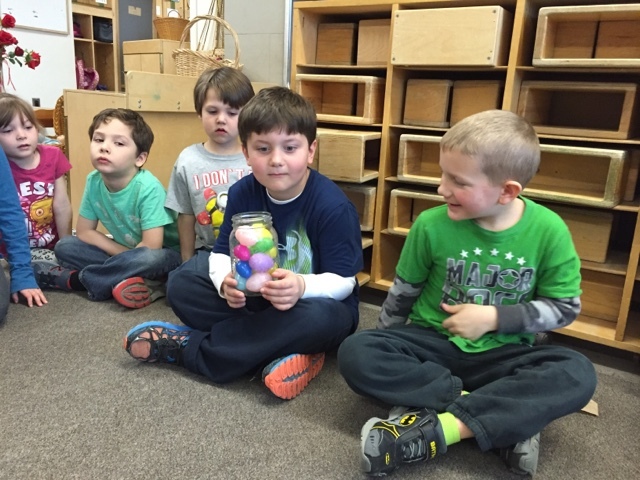 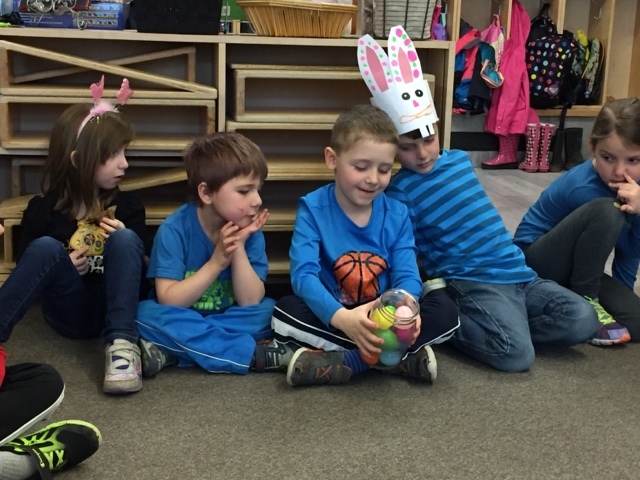 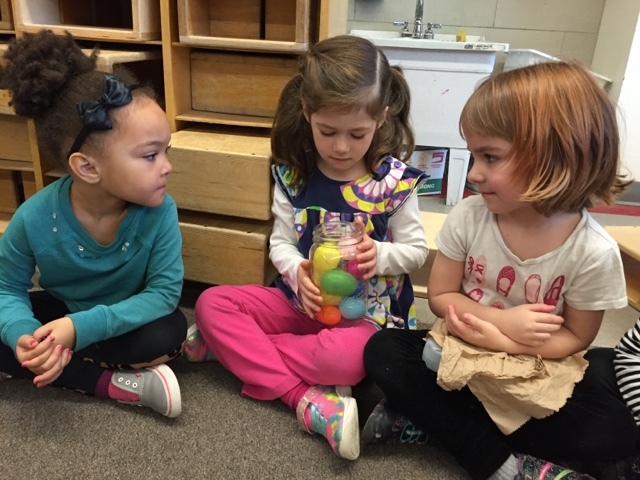 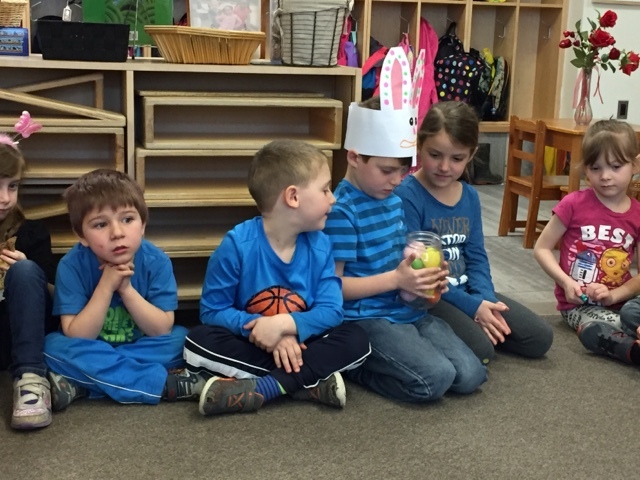 Joyful Learning in the Early Years: Egg-stimation! 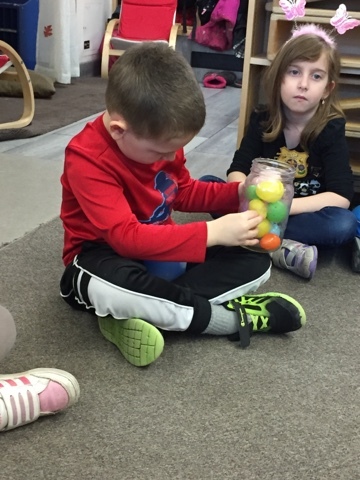 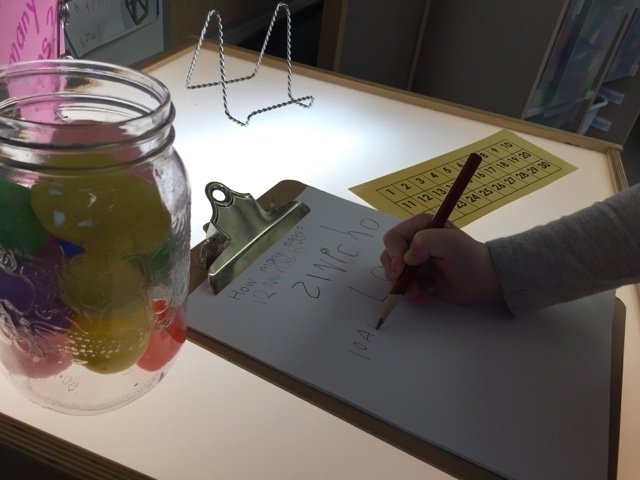 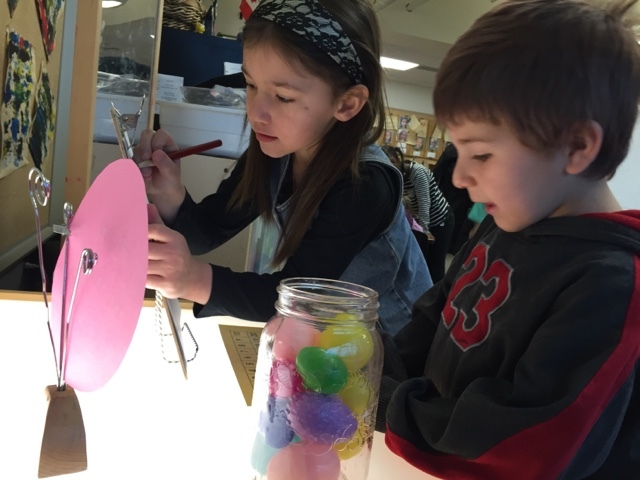 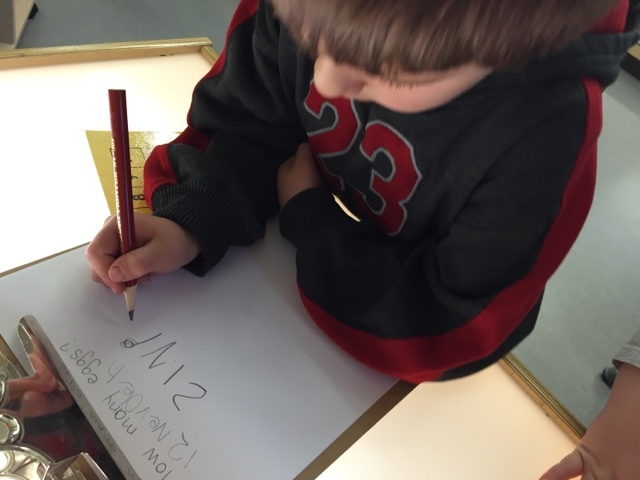 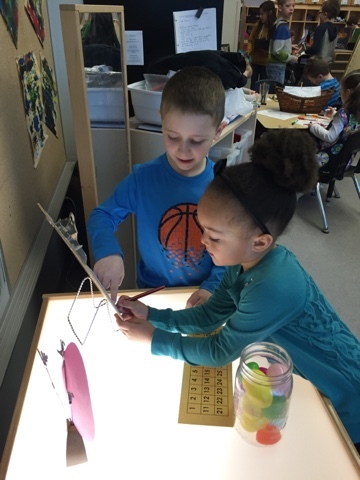 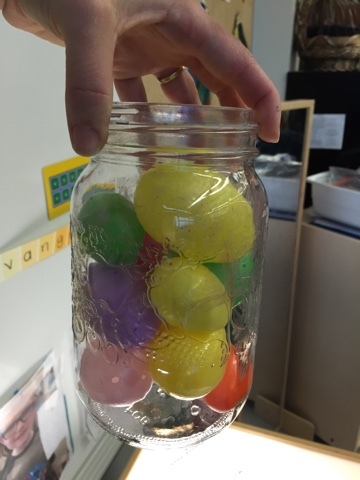 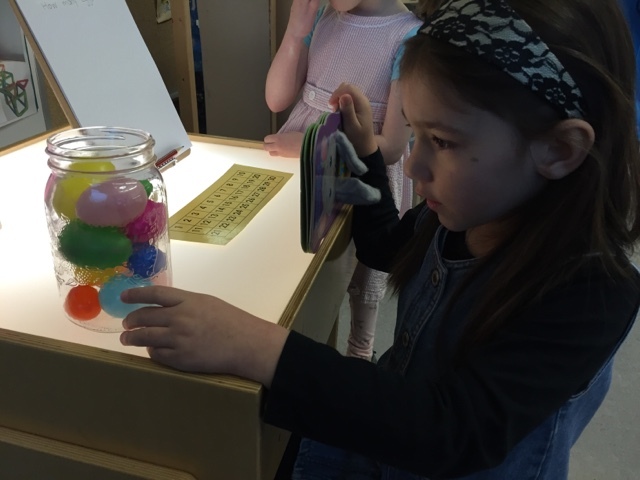 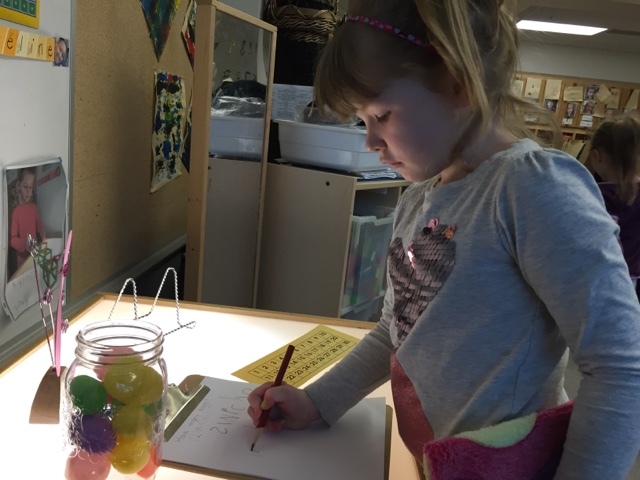 Today we encouraged children to visit the light table so they could estimate how many eggs were in the jar. 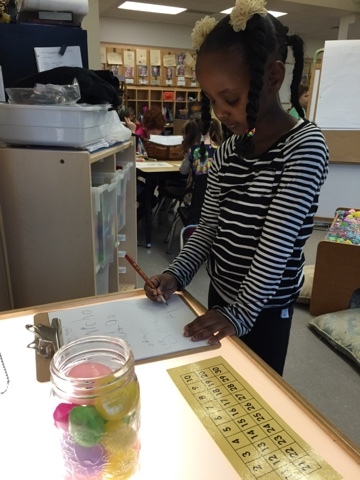 We placed a number grid as reference to help with printing the estimated on the clipboard. 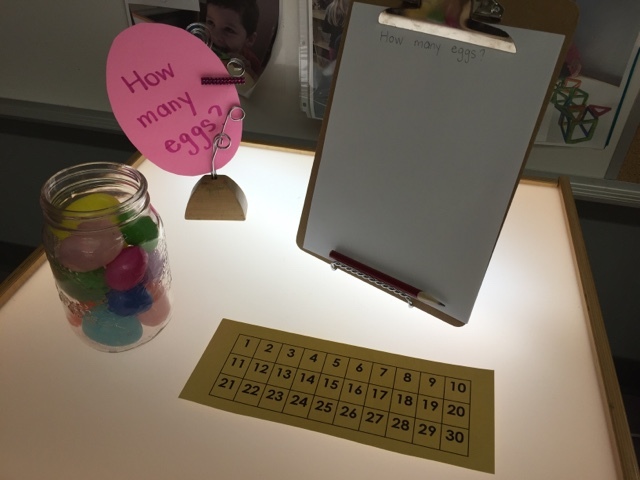 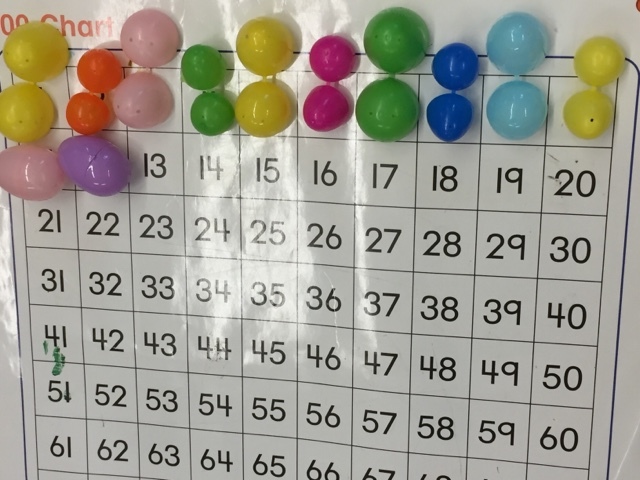 After many children had made a guess we spilled and sorted the eggs at circle so the children who did not visit the center could have a turn.